A flurry of sketching, brainstorming and befuddlement followed by the tearing off of a page – a common experience for creatives, but rarely seen at a scale quite like this. If you’ve ever wished your desk was one big note pad, or felt like Post-Its are way too tiny for your liking, here’s an invention just for you. 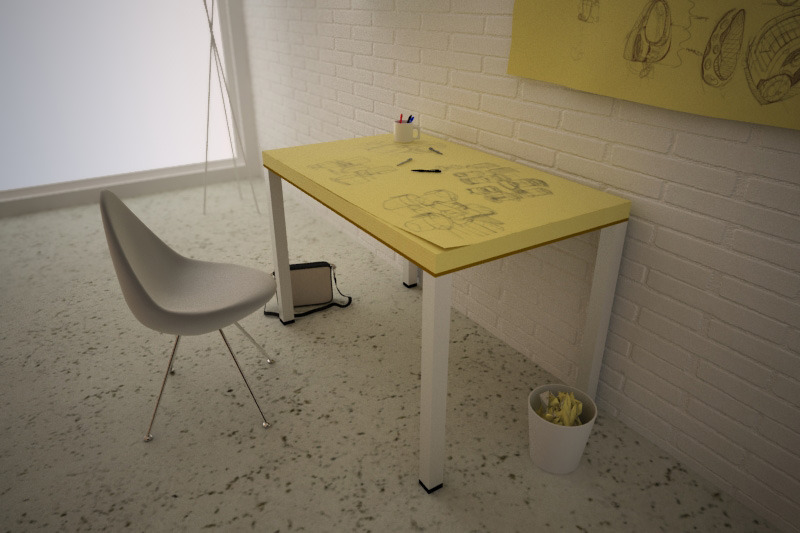 Whether you messed up your work area with a splotch of ketchup, or just can’t stand your latest designs, this Post-It Note-inspired drawing desk lets you peel back the page and start afresh at any time. It’s so simple, yet so incredibly useful. Its designers envision it as a tool that can help people unleash their inner geniuses, currently too frustrated by an inability to scribble random ideas all over a large surface to be clearly understood.